Why choose Green Space Services Carpet Cleaning? If for any reason you’re not 100% satisfied, you have our guarantee that we will re-clean your job free of charge. We stand by our work 100%. Completely safe for children and pets. Carpet and upholstery dry in 60 minutes to four hours, depending on soiling. No hoses or extremely bulky equipment running throughout your home or business damaging doors and trim. No leaving windows open and fans blowing on soaking wet carpet left behind. The convenience of having your carpet and upholstery cleaned and available for use within a few hours. Carpets will look and stay clean much longer with our anti-resoil agent. Our Quality Guaranteed Services give you the most value for your hard earned money that can not be matched anywhere. With Green Space Services your carpets are treated to our breakthrough technology that is 100% SAFE & NON-TOXIC and the minimum amount of moisture to be effective. 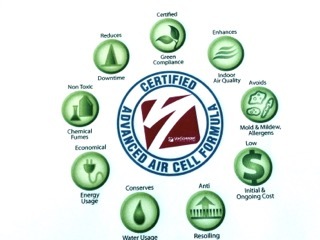 What is the difference between our Advanced Low Moisture System and “Steam Cleaning”? The often mislabelled ‘Steam cleaning’ is actually Hot Water Extraction. There is no steam involved. Hot or warm water is mixed with a detergent and sprayed on the carpet at 250 to 500 psi (pounds per square inch). Then the water is extracted (sucked) from the carpet. What is actually happening is the carpet is being Pressure cleaned. There is no scrubbing or rinsing – just spraying and sucking. The problem is that kind of pressure drives the water and dirt deep into the carpet backing and sub floor under the carpet. It is impossible to extract all the water that deep into the carpet, so the carpet stays wet for several hours or days. This can cause mold and germ growth and stains to re-appear as the carpet dries (through a process called wicking). We offer Stain Removal, Leather Cleaning & Restoration, Pet Stain & Odor Removal, and more. Ask Us How To Save 50% On Mattress Cleaning! ©2014 Powered By: Carpet Marketing 360®- All rights reserved.